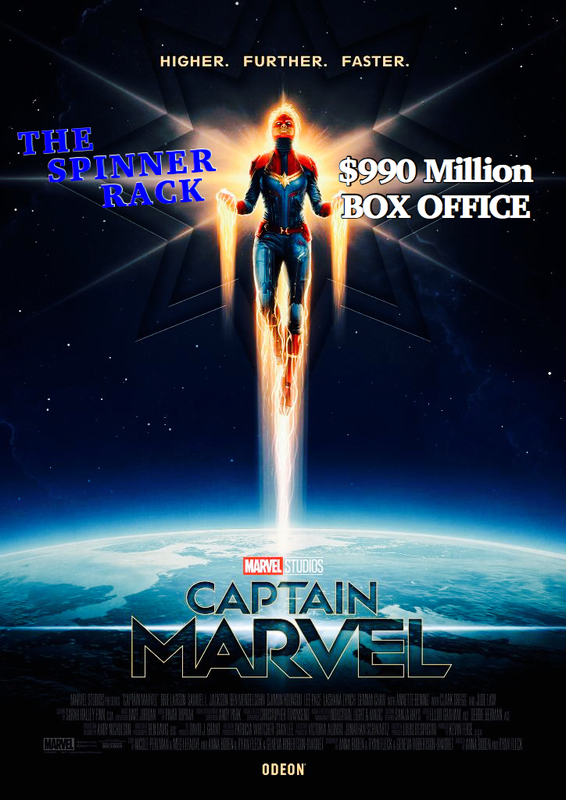 Captain Marvel Box Office has surpassed expectations and will cross the billion dollar mark this week. Hopefully it will shut the trolls up. Our video about this generated tons of views and comments. It seems that the trolls were offended at being called out. No problem. I was simply stating the points that I thought were pertinent. Check out the video on YouTube https://youtu.be/MNwcAef8ZFE. HEROES IN CRISIS # 7 - Buy It Or Skip It ? Are We Being Tricked? I have been faithfully buying Heroes In Crisis. The story has been intriguing, the art top notch and the color outstanding. Despite all that, the story has moved along extremely slow at times. Which has been disappointing. 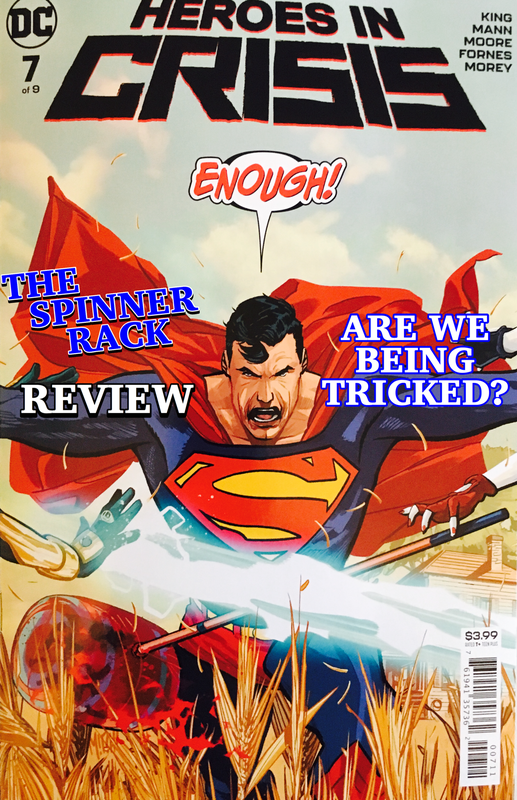 Tom King’s Book has shown us glimpses of greatness, which frustrates me to no end. Yet the greatest disappointment has been this cover. On it we see Superman trying to stop Booster Gold & Harley Quinn from fighting. Unfortunately Superman is nowhere to be seen in this comic, instead it should have been Wally West on its cover. This would have been accurate. I am not saying not to to buy or read the comic, but be warned don’t judge a book by its cover. That’s why I ask if we are being tricked. Our resident expert Cal, answers a viewers question about shipping Rare Comics. We respond to our viewers and subscribers. Jessica Jones Season Two Reviewed — Should you check it out? Jessica Jones Season 2 - Should you check it out? The Baddest Woman in the Marvel TV Universe - Jessica Jones - is back!! The question PD & I have is, should you check it out? The season had ups & downs, which seems to be endemic to the Netflix Marvel Universe. Despite the pacing PD end is on opposite sides of support for this show. Do you agree or disagree? Krypton Epsidoes 1 & 2 Reviewed - Is It Worth Watching? Krypton Episodes 1 & 2 Reviewed - Is it Worth Watching? The crew reviews the highly anticipated new series “Krypton”on the SYFY channel . It is the story of Seg-El, the grandfather of Ka-El (aka Superman & Clark Kent) & Krypton. We try to decide whether this show is worth our time and effort to watch. As usual there is a difference of opinion amongst the crew. Who do you think is right. Marvel has heard the fans criticism and has killed Jane Foster and will give Thor a new comic - Thor #1. What more could a fan ask? Well it seems a lot more. The crew discusses this news and what they think will really happen.